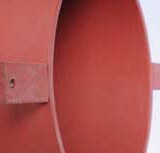 ZEMENTOL TR pipes are used in vertical structures to induce intentional cracks. 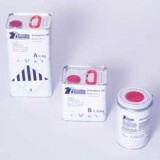 When using ZEMENTOL TR, stop ends can be eliminated and several wall sections be cast in one pour. In order to induce intentional cracks ZEMENTOL SRE can be used in the slabs, thus the contractor is able to achieve the demanded daily concrete placing capacity. 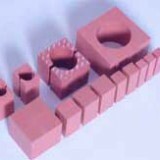 ZEMENTOL DFB waterstops for moving joints have a round expansion zone. ZEMENTOL AFB use tested waterstops with steel spring reinforcements only. Seams are formed by thermal welding. The ZEMENTOL SR exists in a variety of sizes. 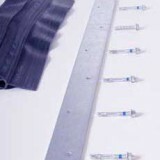 It is used for the passage of pipes that are subsequently waterproofed with ZEMENTOL MCT or ZEMENTOL RRD. 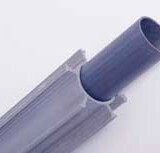 ZEMENTOL GRD are pipes are made out of HDPE. 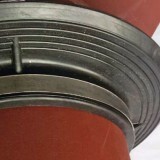 They are used for direct connection of the piping. 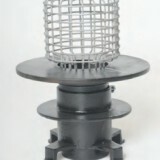 The ZEMENTOL MK is used for waterproofing tubes and cables. 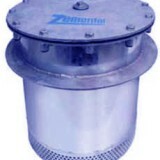 If necessary the ZEMENTOL MK will be installed by ZEMENTOL. ZEMENTOL RRD guarantee the waterproofing of the annular space between the carrier pipe and the wall lining or between the carrier pipe and the wall itself. 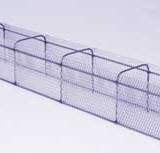 They are available in many sizes and can be installed when the pipes are already in place. 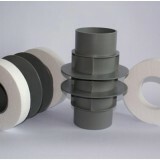 ZEMENTOL MCT are used to waterproof penetrations of cables, gas pipes and similar. 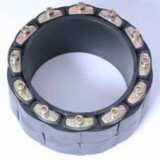 They can be adapted to the dimensions of cables that are already in place in retrospect and feature solid blocks that can be exchanged to receive future cable passages. ZEMENTOL WS are used for the waterproof sealing of tie-bolt holes, which are closed by ZEMENTOL staff. 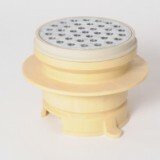 ZEMENTOL sewers can be delivered in trafficable (BAB) and non-trafficable (BAN) version. ZEMENTOL FDA are height adjustable and have a gravel cage. The ZEMENTOL BGE is employed when the pump pits have to be placed within the slab. After removing the pumps, it can be closed under pressurised water conditions and covered with concrete. ZEMENTOL can mount waterproof flanges between existing structures made of waterproof concrete and new buildings, using a proprietary system. For the simple construction of kickers at the wall base ZEMENTOL offers permanent shuttering. ZEMENTOL uses products of diverse producers. For detailed information please contact us.